Ages ago, evil beings created powerful creatures called Espers and unleashed them against each other. The resulting battles left their world in smouldering rubble. Legend has it, the Espers destroyed themselves and most of humanity. Centuries have passed and a rational world now exists with Espers living only in myths, until one frozen solid since the ancient wars is unearthed. Suddenly, there are reports of magic attacks on civilians. Imperial Commandos launch raids using magic-powered MagiTek weapons. Magic is obviously alive and the world is in danger again. 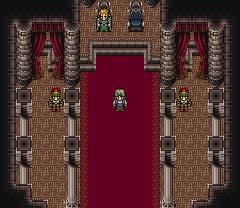 Originally released as FINAL FANTASY III on SNES in North America, this game is in fact FINAL FANTASY VI from the main series chronology. What's this? Do I hear reviewing bells? It must go on the virtual console. You let us have Super Mario RPG and Secret of Mana, don't tease us! Look, I understand why F Zero got a 9, it was groundbreaking at the time, but really, FF 6 is just as good as F Zero. 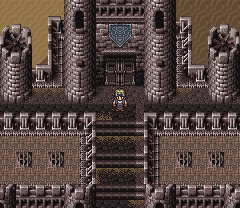 And all you Chrono Trigger fanboys, I am one of them btw, FF 6 is better in story, gameplay, and especially music. And I believe I heard here that Chrono Trigger's battle system is far superior, but the characters just keep using the same moves they have in the beginning except they combine them with other characters' same moves. 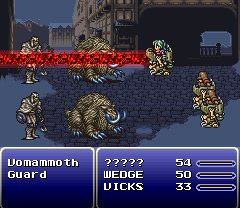 Play FF 6 on the GBA, the non-dumbdowned version, and the strategy is crucial. 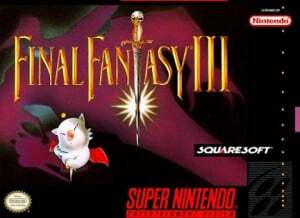 FF 6 >FF 7>Chrono Trigger >Secret of Mana>Nintendogs. Oh, yeeeaaah!!!! Thank you Square Enix!!!! Since I waited it!!!! YES!!!! 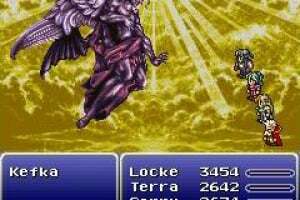 Play FF 6 on the GBA, the non-dumbdowned version, and the strategy is crucial. Never played the GBA version but even if it isn't 'non-dumbdowned' as the SNES version, I hear the overall quality is kinda crappy. Plus who wants to play FFVI on their GBA SPs now when you can play it on your TV as its supposed to be displayed? Downloading this next Thursday night at 11pm. @6. The music is better than Chrono Trigger? I find that difficult to believe. I have every intention of playing this though. @6. Yeah, except the whole second half of this game was just a monotonous barrage of sidequests. Also, I believe the combat system in CT is way better, because not only is it a perfect balance between the excitement of action based combat and the strategy of turn based combat, it has individual skills for every character, not just a special technique. 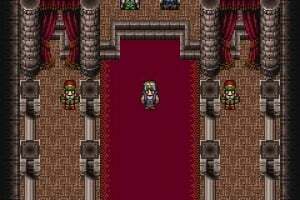 In FF6, I felt that I had to teach every character the most powerful moves, and that just makes the characters more neutral and less fun to play as. 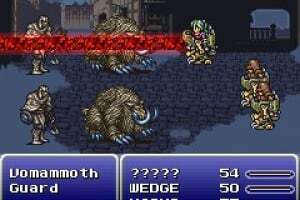 Sure the music of FF6 is good, but I challenge you to listen to every final fantasy soundtrack of the games prior to it and tell me how much difference you can hear. 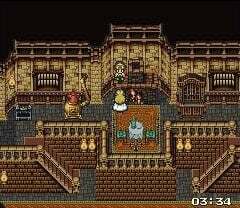 Simply for its originality and its ability to capture and display emotion, the soundtrack of Chrono Trigger exceeds that of FF6. @9 Yes, the music is THAT good. 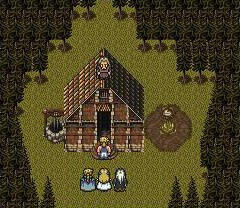 Chrono Trigger has great music, but as a kid I actually made a homemade soundtrack of FFIV's music. THAT'S how much I loved it. 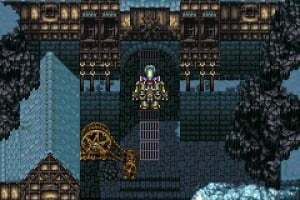 Today, Final Fantasy VI is released on the Japanese Virtual Console. Tomorrow, it's released in Europe! For those that haven't played it in Europe yet, I can assure you that it has hours of adventure. I really like the opera scene where you have to memorize the lyrics to a song called "Oh My Hero" and go to a certain part of the scene. I think my plush doll would have wanted to do that scene too. I predict a 9/10 score. 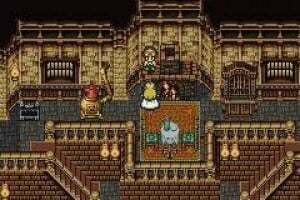 FFVI is, without a trace of doubt, one of the greatest games I've ever played. 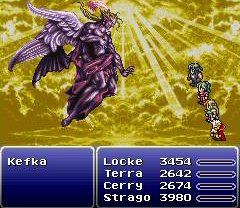 It also blows out of the water each and every FF that followed it in terms of cohesive, mature storytelling and genuine grandiosity. You should get it even if you generally can't stand this genre (and lord knows I hate RPGs with a fiery passion). 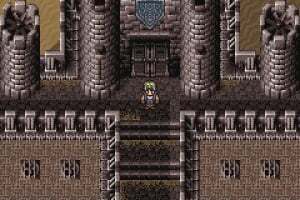 Chrono Trigger has stunning, touching and remarkably memorable soundtrack, but FF6 is a master piece musically, and not just a master piece of jrpg music, its just musical master piece. I think this is the biggest reason, why Nobuo Uematsu is so acclaimed composer. 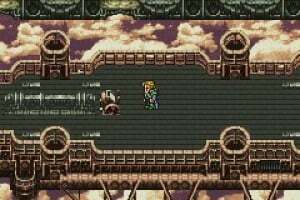 Neither sound track can ever be surpassed, in any other way than sound quality and I love both games so much, that I hate to put them in any other order, but to me the FF6's music was even more touching, memorable and emotional. Its just full of fantastically inspired compositions; one could even go as far as say, that the bulk of Uematsus inspiration was left into this game. 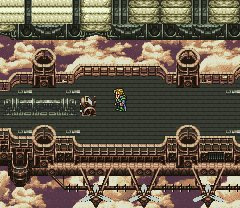 Never after FF6 has there been a game so bloated with such music. I support what Varoennauraa said. BEST SOUNDTRACK EVER!!! 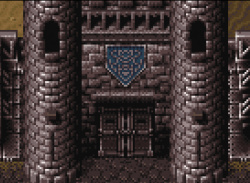 Although I do not understand why Chrono Trigger is always mentioned in the same breath as FF VI musically. It has Good music that repeats itself alot. And I am not trying to hate on Chrono Trigger. It is in my top 20 games of all time and has an awesome soundtrack. It is just that FF 6's soundtrack is that much better. Any word on when it will be on the VC in America? I've played this game many times but there was one thing I never did. 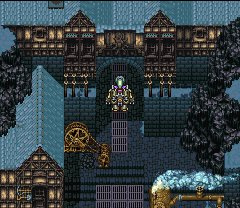 My friends kept telling me there was a part when you could read Kefka's diary in the Imperial Palace but I never knew about it. If that does exist, it isn't in the Playstation version, apparently. Can anyone confirm this? I'd download this for that alone (that and the non-laggy gameplay). It's out on VC now....took them long enough! 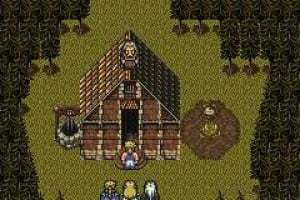 Yesterday, Nov 2 2014 marked the 20th year since the game was released in North America.